After twelve years of living in the same tiny house and rearranging the furniture at least twice a year, you would think I would have exhausted the possibilities. But this week, forced by the necessity of exposing the walls for painting, I found a new arrangement that tickles me. The chaos of tarped up tables, tiers of boxes and tiny pathways had lost it’s charm. I was ripe for something different. 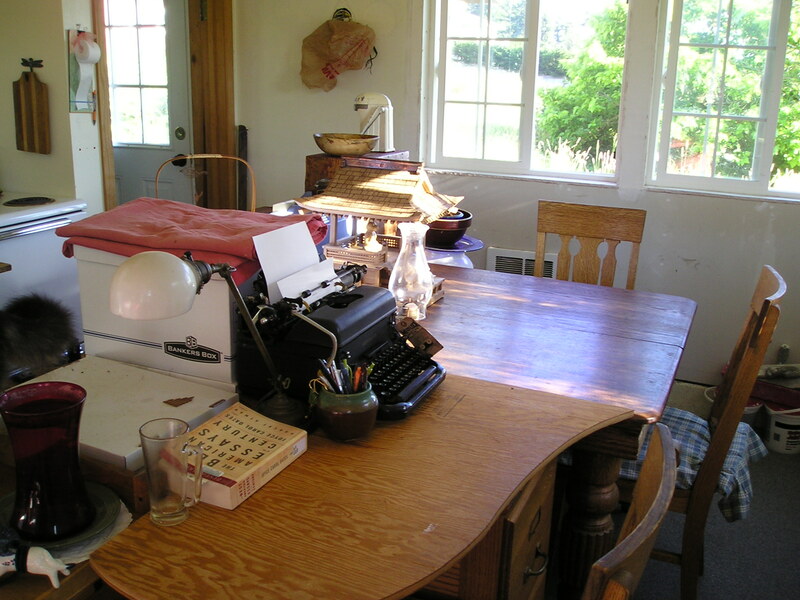 Including a writing desk which I disassembled months ago in favor of a “reading room”. 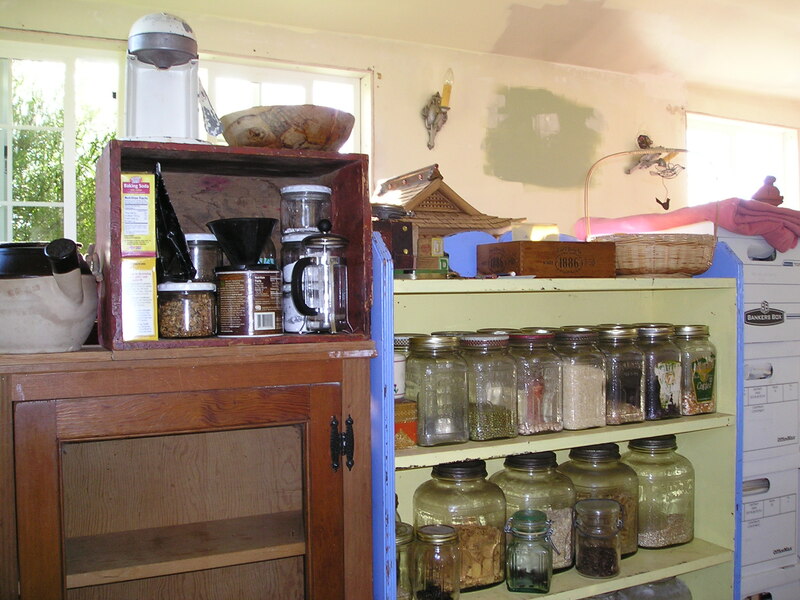 I needed to finish painting a certain section of ceiling before I could unveil the dining room table and the Reliance jars filled with rice, lentils, raisins. In the middle of our summer heat wave, windows wide open to the scant breezes, I rolled the second coat of Fuzzy Sheep, shoulders aching, but determined to get my carrot. At exactly 4pm, I pulled the white cover from the herded furniture like a magician, with flourish. Then I began arranging what I had seen in my mind, making sure to keep the walls free for the next portion of painting. 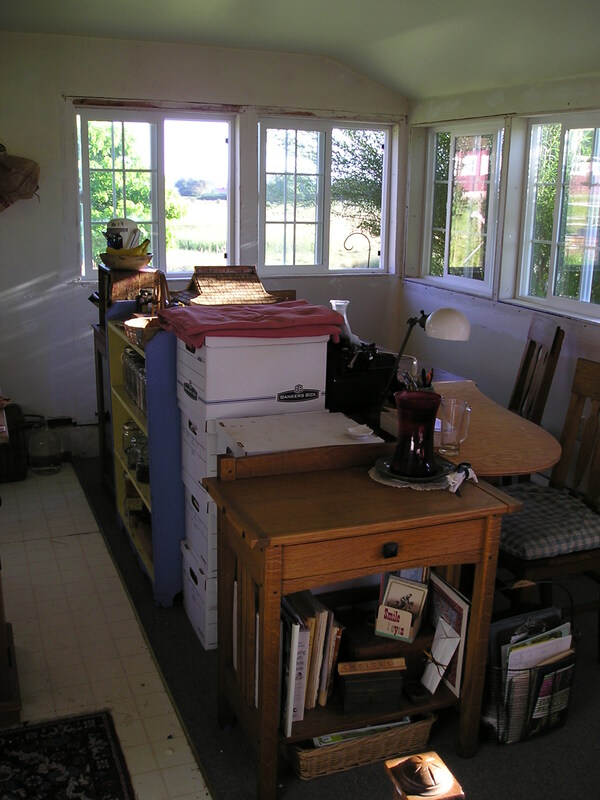 With each step, I lovingly cleaned and organized, putting the table in the center and building around it. The bookshelf of jars went on one edge, facing the kitchen, chairs on the south and west side, and to the north, my moment of brilliance, the writing desk. I didn’t think I would miss it as much as I did. In fact, I wasn’t writing much without it. This is an absolute necessity for anybody today. You must have a room, or a certain hour or so a day, where you don’t know what was in the newspapers that morning, you don’t know who your friends are, you don’t know what you owe anybody, you don’t know what anybody owes to you. This is a place where you can simply experience and bring forth what you are and what you might be, This is the place of creative incubation. At first you may find that nothing happens there. But if you have a sacred place and use it, something eventually will happen. 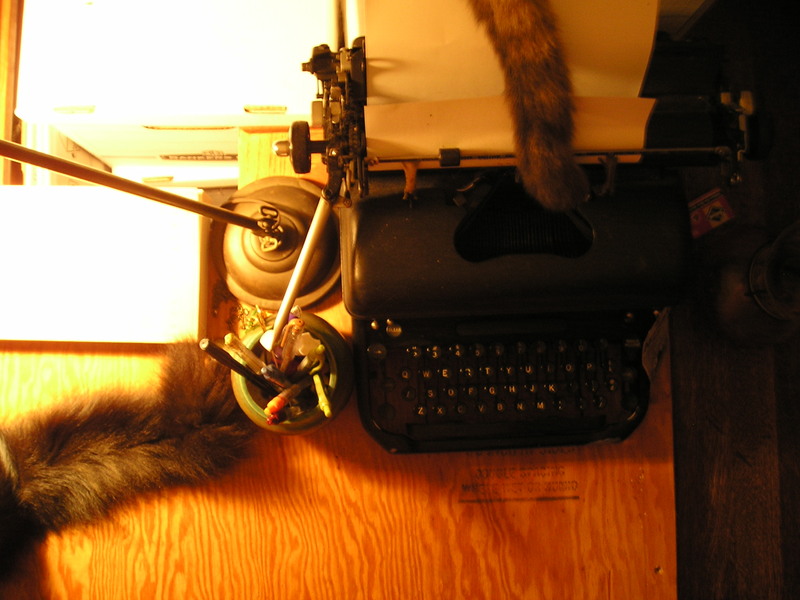 As it turns out, my writing desk was my sacred space. A place holder for my creative process. An invitation inward. Without it, I wandered. Lost focus. Abandoned the practice of writing. When I set the new one in place, I felt triumphant, like an Olympian making the final, perfect dismount from the parallel bars. And this, in the middle of disruption. In the middle of paint cans and wrapped rollers and joint compound drying slowly. I have been wondering how your painting project turned out! Your home looks so charming. I like the quote from Joseph Campbell. My husband often catches me blankly staring into space as I sit outside among nature and he thinks something is wrong with me. He just doesn’t get, I’m in my happy place! Oh that wonderful Happy Place! Glad to know you have yours too. Can’t wait to be able to publish the final painting pictures!! Yea! So glad to hear you have your table back. Thanks, Kelly. I am sooooo happy that I will be able to say I’ve been writing now. 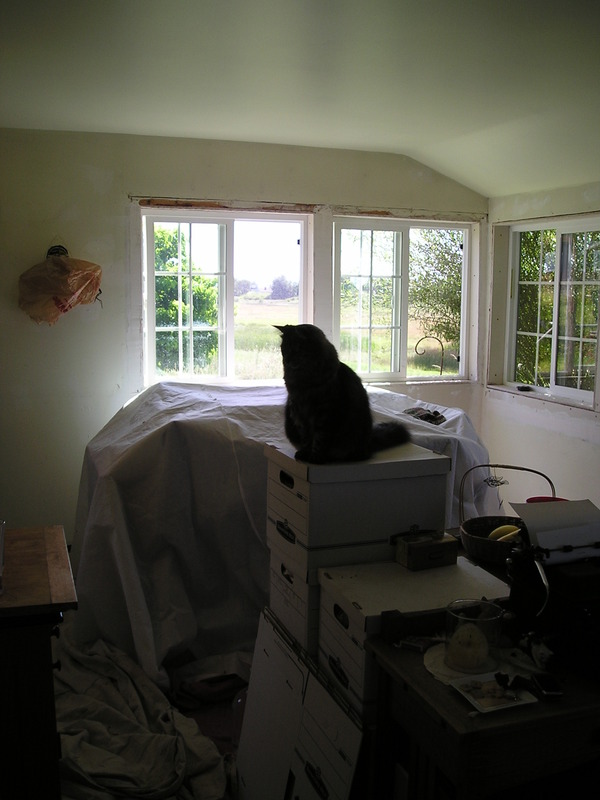 Finding delight in the middle of chaos…these are some helpful words in the middle of my torn apart home due to the chaos of flea infestation….will this inspire creativity? Bring back my passion for writing? Not sure..but thanks to you I am looking for delight in the middle of chaos. My brother suggested I may like this web site. He was totally right. This publish truly made my day. You can not consider just how so much time I had spent for this info! Thank you! Thanks so much! Glad you found it useful. needed the inspiration today… my wee cabin gets smaller by the day and I am feeling kinda crazy…. today we will re-arrange! Thanks, Jessica! I loved the tails in the pic too. Might have to think of something to do with that one. And as far as your wee cabin, I don’t know how you are doing it. I get a little crazy and there is only one person living here!! Hope relief is in sight! !